At Hathaway, P.L.L.C., we are dedicated to resolving your commercial disputes in federal and state courts involving everything from patent law to real estate disputes. Our firm is committed to providing each client with professional and efficient legal services. Attorney John Hathaway has 34 years of legal experience and is staunchly committed to winning your cases in the most effective, cost-efficient manner. 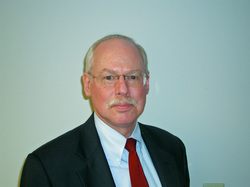 He uses his skills and experience to provide trusted legal representation to clients inside and outside the courtroom. He aggressively defends each client's rights throughout the entire judicial process. He established his law offices in 1998 after having practiced for nearly 20 years with the Seattle firm of Edwards, Sieh, Wiggins and Hathaway, where he was responsible for the firm's trial practice and technology law. At Hathaway, P.L.L.C., we continue to concentrate on business, real estate and complex commercial litigation in all courts and to represent clients in software licensing, trade secret, contract and other intellectual property matters. We can help you with: -Breach of contract -Business litigation -Business mediation -Business torts -Complex commercial litigation -Computer contracts and software licensing -Employment contracts -Estate litigation -Insurance bad faith -Insurance coverage -Intellectual property licensing -Labor and employment law -Partnership law -Real estate litigation -Trade secrets -Trial practice and civil appeals -Trusts and estates -Wrongful termination Trial experience when it matters: We do everything necessary to resolve your legal matter without having to take the case to trial, but sometimes the only way to resolve a legal issue is to go to trial. In those circumstances, you can be assured that attorney Hathaway has the experience to handle your case from beginning to end inside the courtroom. The process of litigation can be overwhelming and confusing. We make sure you understand the entire process. We also know that each client has unique problems, and we make sure we look at each case from a fresh perspective. Attorney John Hathaway's skills, creativity and professional resources help him defend your rights until your matter is completely resolved.